A young living business is a fantastic way to accomplish your financial goals with the flexibility of being your own boss. You don’t have to worry about someone covering your shift or getting vacation time approved. And you can always make it to social or family events because you manage your own schedule. This can be a great scenario, but that flexibility can also be somewhat distracting, that is, without proper self-discipline. Running your own Young Living operation allows you to negotiate with yourself and set up your own deadlines. But don’t let this freedom decrease your productivity. Thankfully, these tips on setting goals for your Young Living business will help prevent just that. Setting a schedule for yourself is one of the best ways to ensure productivity when you work from home. Decide how many days you will work each week. Schedule your hours, including breaks. This will allow you to have your schedule structured, which comes in handy when scheduling calls, meet-up’s, or classes for your young living business. It will also help maintain the balance between your family and social life. Set yourself up for success with structured, specific goals and be careful not to over-indulge in time off. 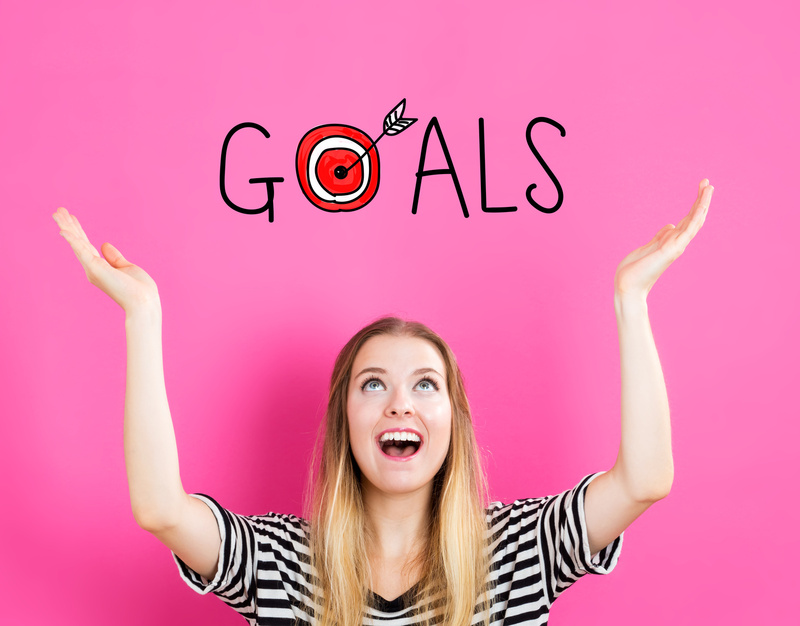 Are your goals too broad? If you have goals like “sell more” then the answer is yes. Those imprecise goals can leave you without a clear plan to accomplish them, making meeting them a lot harder. To set yourself up for success, set clear, realistic goals. You want to find that sweet spot that both challenges you and is an attainable goal for your young living business. Clarify your goals into specifics. Set a large or long-term goal first and then break it into bite-sized pieces. The large goal, such as an annual salary, is most realistically met if you break it down to monthly and then weekly goals. Then, break down the weekly goals into daily goals. You can motivate yourself more by achieving mini-goals and also notice when you are falling behind schedule more easily. It is much easier to accomplish something that you are excited about, so perhaps pick your favorite product from your young living business and set a goal to sell a certain number of it. Try promoting in a new way, such as by using Pinterest. Reward yourself for accomplishing each goal. Keep these rewards proportionate, though. Don’t give yourself a new car for making one sale, for example. Keep your goals exciting enough to motivate you, within reason. Set a timeline for your goals to help you accomplish them. This timeline includes setting a deadline with check-in points along the way to keep you on track and prevent procrastination. Set realistic but challenging goal deadlines to push your sales. Do some math in order to calculate how many sales you will need to meet your dream salary. Make realistic steps along the way to reach your full potential. Your income potential is only limited by the effort you put in. Once you have decided to make your young living business a major portion of your annual income, set a financial goal that works for your life. For many people, a quarterly or monthly goal is a great place to start. Set a goal for each quarter, such as a 10% increase in sales, exponentially, each month. Break that down into your monthly and weekly goals for new contacts, follow up calls and emails, managing your website, etc. Structuring your business strategy this way will help you make a sale increasing system. Accomplishing this goal will motivate you further and increase your success. Get to know the products inside and out. One way to do this is to set an hour of your morning learning about a particular product so that you will have it readily available to discuss during a call or class. Confidence in your young living business product line will only help to boost your sales. Learn as much as you can about the young living business you are running. Make a goal to level up your efforts. A great way to do this is to host a Young Living Party! Even if you only work from home part-time, set up your workspace by separating your home and work life. You should do this spatially to prevent distractions. Don’t be tempted to have the TV on in the background or get distracted with a spring cleaning project. Establishing days off will also help with this because it mimics the structure of a typical job. Also, turn off notifications for anything distracting until after your work day is over. Make the most of your young living business by committing to structured goals. All that being said, don’t be too hard on yourself if you’re not meeting goals. You can restructure your goals anytime you want. A big upside of a Young Living career is the freedom from stress. If you’re not meeting goals, don’t give up. Sometimes it takes a while to get the ball rolling or you can have a slow month in sales. It happens. Don’t go crazy stressing over meeting a goal to the point of exhaustion. It’s much better to just adjust them to be more attainable and work your way up. For example, think of your body’s sleep cycle. If you want to wake up earlier, set your alarm a little earlier each day to adjust your internal clock naturally. Forming productive habits doesn’t have to be stress inducing. In fact, reward yourself for your hard work. Maybe with a hot bath using your favorite Young Living essential oils!